Laurie L. Sullivan and John Bergin, MS, MBA, BCC Research Analysts, indicate that NGS has matured into an essential life science tool for genetic studies in a range of applications, and the industry is on the cusp of a second growth phase, powered by new applications in clinical diagnostics. Kathryn A. Lee, PhD; Markus Lankers, PhD; and Oliver Valet, PhD, discuss various aspects with regard to microscopic particle counting, sizing, and identification using Raman, laser-induced breakdown, and IR spectroscopies, and how these techniques can help accurately identify particles. Robert Lins, MD, PhD, believes classical primary respiratory endpoints are far from successful in exploratory and confirmatory studies, and new techniques being developed have most potential in early phase, exploratory, clinical trials, but there may be the opportunity to apply at least some of them in the later stages of development. Andrew N. Cleland, PhD, Jean-Luc Fraikin, PhD, Peter Meinhold, PhD, and Franklin Monzon, PhD, describe a new diagnostic instrument able to rapidly and accurately report detailed nanoparticle size distributions for a wide variety of nanoparticle types and concentrations in a range of different solutions. MRI CONTRAST AGENTS – Could More Stable Soon Also Mean Safer? Frost & Sullivan Analyst Nadim Michel Daher indicates radiology is going through interesting times. Under the coordinated care paradigm that is gradually emerging in the US, as well as all the changes forced on volume-based economic models, medical imaging enterprises are under a great deal of pressure to redefine their goals and reassess their value. Robert Wenslow, PhD, and Ann Newman, PhD, believe too often, drug discovery scientists, material scientists, and formulation specialists work in silos throughout the drug discovery process. Better integration of their efforts can reduce drug development schedules, risk, and overall costs that provide direct competitive business advantages. Paul Kippax, PhD; Deborah Huck-Jones, PhD; et al review current trends in dissolution testing within the context of understanding particle size, which impacts clinical studies and ultimately generic submissions. Ed Addison and Shahar Keinan, PhD, explain how cloud computing combined with the continued influence of Moore’s Law has provided an unprecedented opportunity to apply inexpensive high-performance computing to drug discovery. Andrew Birnie, PhD, explores how innovations in instruments, such as the Eco 48 real-time qPCR system (PCRmax), deliver exceptional uniformity, actively improving the reliability and productivity of the working laboratory. Contributor Cindy H. Dubin recently spoke with leading analytical testing providers to find out what services they offer and what equipment they use to handle both small and large molecules for their pharma clients. SGS, a leading bio/pharmaceutical analytical and bioanalytical contract solutions provider, today announced the appointment of Dr. Haris Jamil as Biologics Manager of its recently expanded biopharmaceutical testing facility in Lincolnshire, Illinois, USA. Cambrex Corporation recently announced it is investing $1 million at its High Point, NC, site to fit out 1,300 sq ft of analytical laboratory space and plans to hire 9 chemical research and development scientists, as well as 6 analytical research and development scientists pursuant to this project. Pacific Biosciences of California, Inc. recently announced major enhancements to its Sequel System, including a new version (6.0) of its software, new consumable reagents (3.0) and a new SMRT Cell (1M v3). 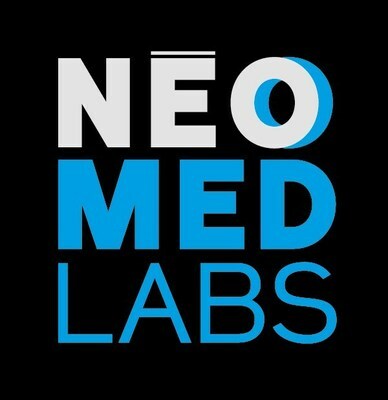 Laval headquartered NEOMED-LABS, a global leader in the clinical immunology field, recently announced a 3-year extension of their strategic agreement with GSK, the world’s largest vaccine manufacturer.